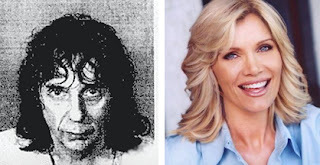 WAKADO: Phil Spector Murder Trial Begins / Did Lana Clarkson Commit Suicide Or Was She Murdered ? Phil Spector Murder Trial Begins / Did Lana Clarkson Commit Suicide Or Was She Murdered ? Prosecutor says Phil Spector "sinister"
LOS ANGELES (Reuters) - Legendary music producer Phil Spector has a long history of exploding into gun brandishing fury against women that culminated with him shooting an actress dead at his mock castle outside Los Angeles, a prosecutor told jurors on Wednesday. But as Spector's murder trial kicked off, his lead attorney delivered a fiery response that had him at times shouting, shaking his fist and gripping his head in apparent frustration as he vowed to prove that B-movie star Lana Clarkson was holding the gun herself when it went off in her mouth. LOS ANGELES - Phil Spector had a "rich history of violence against women" that ended with him shooting dead a B-movie actress, prosecutors said at the legendary music producer's murder trial here yesterday. Mr. Spector, 67, the reclusive musical genius who pioneered the 1960s "Wall of Sound" recording technique, is accused of gunning down Lana Clarkson, 40, at his imposing neo-gothic estate on Feb. 3, 2003. 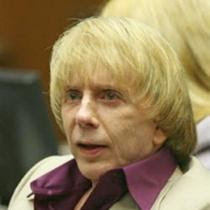 LOS ANGELES (AP) - Police who found a dead actress in Phil Spector's mansion "had murder on their mind" and did not consider other possible explanations for her death, a defence lawyer said. Spector's murder trial began Wednesday in Los Angeles County Superior Court with a prosecutor laying out his case against the man whose "Wall of Sound" transformed rock 'n' roll in the 1960s. Spector's lawyer, Bruce Cutler, later told jurors that authorities were intoxicated by the prospect of arresting a celebrity and said Spector may be the victim of his own success. Mothers Day Gifts For Your Special Mom !! !